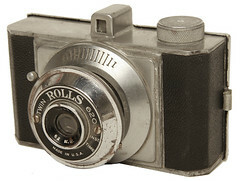 Rolls Camera Mfg. 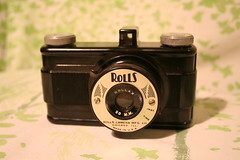 Co. was a camera maker in Chicago. 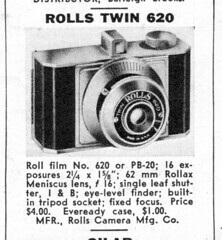 It is unclear whether they were part of the cluster of companies including Spartus, Monarck, etc. 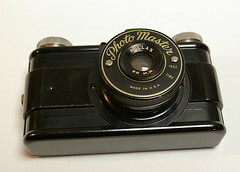 Around 1940 Rolls offered the Rolls brand bakelite viewfinder camera, for 127 film, in a body style also seen under many different names, such as Photo-Master. 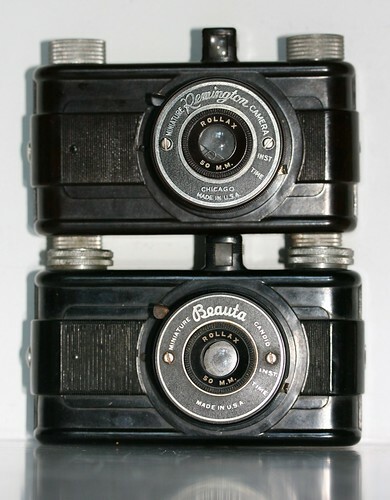 These cameras had a simple shutter with time and instant settings, and a 50mm lens branded Rollax. 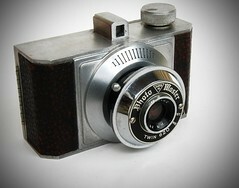 The company also produced some inexpensive cast-metal cameras for 35mm and 620 film. 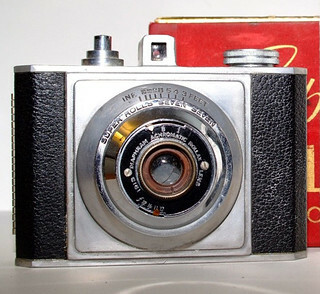 With some models the lens is fixed focus; other Super Rolls models include focusing lens mounts and multiple shutter speeds.